If you’re homeschooling an academically gifted child, you probably have had moments when you feel like you don’t quite fit in to the homeschooling community. When the convention speakers are assuring you it’s okay if you don’t finish subjects this school year, and all the other homeschool moms are nodding in assent and camaraderie and applauding, you just quietly sit there. When your friends all connect over subjects which always get skipped week after week, you are hoping no one asks you — wishing your child could let you get away with skipping school — because your child is on her second science curriculum book, and it’s only November. Maybe you have one of those kids who actually cries on the weekend because you put your foot down and say no, we are not doing school on Saturday. But you could never say any of this in public — and certainly not on Facebook — because if you’re not in these strange trenches yourself, it just sounds an awful lot like obnoxious bragging. But you know giftedness doesn’t mean bragging rights. It means intensity. It means a whole different neurological wiring. If your world seems a little bit ridiculous sometimes, well, that’s because it is. Someone once said raising a gifted child is like being stapled to a cheetah. I concur. Toss homeschooling into the mix, and you have the perfect storm of intensity, curiosity, and yes, exhaustion. So if you, like me, are hanging on for dear life, hand your child an encyclopedia, pour yourself a cup of caffeine, and listen to Episode 057 of Pam Barnhill’s Homeschool Snapshots Podcast. Colleen Kessler — author, gifted specialist, blogger at Raising Lifelong Learners, and co-founder of the online support community Raising Poppies — is co-hosting this season of Homeschool Snapshots. 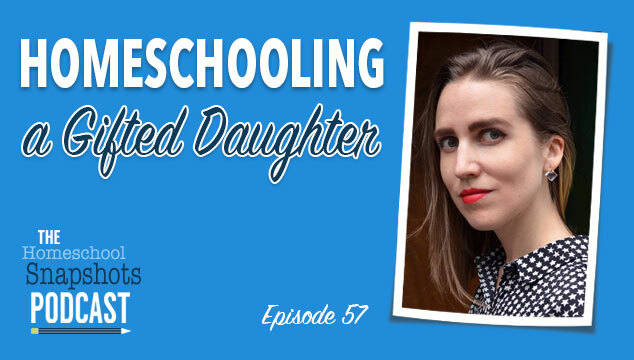 In this episode, she and I sit down and chat about the crazy world of homeschooling gifted kids. As you listen to this peek into my normal, I hope you feel encouraged, and I hope you know this truth: you are not alone. 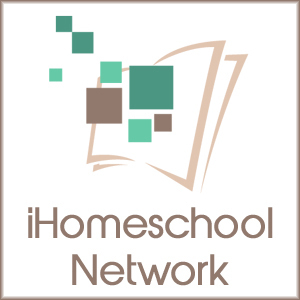 Our favorite educational resources and homeschool curriculum for homeschooling a neurologically gifted child, blending a literature-based approach and classical education with an emphasis on science. Here’s the thing. If I had held rigidly to the no formal education before age seven doctrine, I’d probably already be in a padded room. 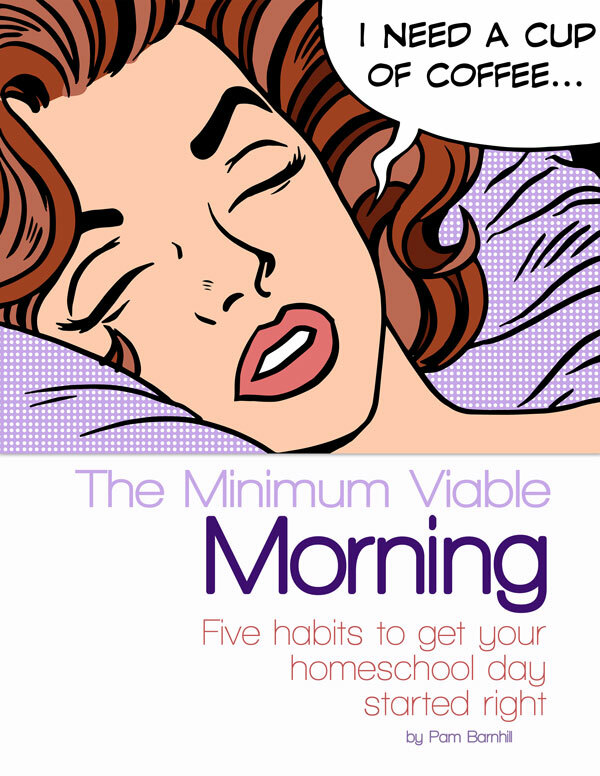 Remember, I wasn’t planning on being a hyper-caffeinated homeschooler. I was planning on having a normal (read: typical) child, play with her until she was five, enroll her in a nice neighborhood school, then drive a few blocks away to a coffee house and write a book while someone else taught her to read. When she turned four, she invited me into her room for a bedtime story. She deftly flipped to the appendix of a microscope encyclopedia, fluently read aloud the best practices for preparing a slide, then discussed it all with me. It was also around this time my mom laughed. She reminded me I’d read at age three, and she was hassled for letting me be “too academic”, too. Some of you have felt like outsiders. Some of you have been criticized for hot-housing or pushing, simply because you have given your child the information they’ve asked for. But responding to a child’s clear signals of readiness is not the same as pushing formal academics on a child who is not ready. And responding to a gifted child’s quest for knowledge does not mean banning child-led play. Structured academics and child-directed exploration are not mutually exclusive. Can we just pause here for a moment and let that sink in? Formal lessons and free play are not mutually exclusive. My point is, it’s a logical fallacy to assume any sort of formal lessons automatically preempts play. It is entirely possible to meet a young gifted child’s academic needs and play needs. You do not need to choose one or the other. This list of second-grade curriculum is just that, a list of curriculum. It doesn’t show the hours my daughter spends creating elaborate imaginative worlds out of LEGO bricks. It doesn’t show the time she spends singing songs at the top of her lungs, dressed in inside-out clothes. (“Mom, the tag said, “Turn garment inside out”.) It doesn’t show the gales of laughter tumbling down the trampoline track with her friends, or anything else that isn’t, well, that isn’t a list of curriculum. It does reflect how intense, how voracious, how completely insatiable this girl is in her quest to be constantly, actively, bookishly learning. When we have gloriously exploratory days, where she pokes anthills and tumbles in the grass and reads a stack of non-fiction and plays puzzles and does experiments and wires Snap Circuits and goes to the library and helps me cook, she laments, begging to pull out the school books. (Yes, I have a weird life.) So, I’m not saying your second grade needs to look like this. But, if you are curious about what curriculum makes a very quirky six-and-a-half-year-old girl squeal with delight? I can show you what that looks like. 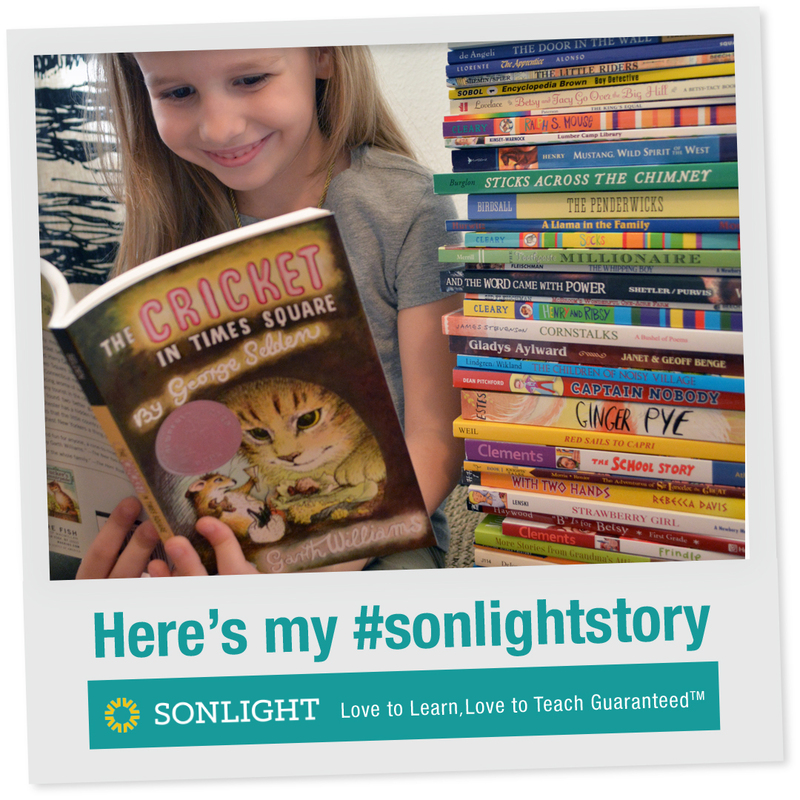 We’ve already gone through the Sonlight Readers for kindergarten, first, second and third grade, so this year, Aveline’s diving into the fourth grade set of Sonlight readers. I love how the corresponding Readers Schedule / Study Guide incorporates mapping as well as comprehension questions, although I don’t do all the Q+A sessions. I do a spot check maybe once a week or so, flipping open the study guide and asking a handful of questions at random. If she tells me about the book during the week (she’s a talker), then I don’t even do the spot check — but we always stop to check the location, and add a map pin to our huge wall map. And independent reading? It never stops. We have thirty to seventy books in our library baskets at any given time. And when she asks if she can do a book report (yes, she is for real) then I photocopy a template from Evan-Moor’s How to Report on Books, Grade 2. I couldn’t help add in some comprehension guides, especially after Aveline’s eyes lit up like Starry Night when she saw the rack of them at the Veritas Press booth at a recent conference. The questions are terrific, and the included activities and paper crafts are delightful! We’re using the Milly-Molly-Mandy guide and the Baby Island guide (both for second grade), the third grade guide for Alice’s Adventures in Wonderland, and an anthology guide called More Favorites, which covers books like Sarah, Plain and Tall; Hundred Dresses, and more. I love how introducing comprehension guides at a young age eases kids into the critical thinking skills so necessary in a classical education — and in life! I am also outsourcing a little more of close reading (analysis, making inferences, and more) to the amazing director of our local co-op. Aveline will be working through an abbreviated version of Rooted in Reading (Grade 3) with her class there. Combining the recommendations of Sonlight and Veritas Press, respectively, we’re enjoying the contrast between the laugh-out-loud funny Cornstalks and the more traditional Favorite Poems. And because Alice’s Adventures in Wonderland / Through the Looking Glass features heavily in our year, there’s been a lot of Jabberwocky, too. ‘Twas brillig! I’m so excited to begin our journey with IEW! I’ve seen Andrew Pudewa speak a couple of times now, and I was really impressed with the logical, straight-forward (but not formulaic!) way IEW approaches writing. Knowing how to write is one thing; knowing how to teach writing is another matter entirely. I think many writing programs making the mistake of breaking up the ebb and flow of writing into a series of formulas, resulting in stilted, robotic writing. IEW, on the other hand, gives students a set of tools to use in the art of writing. So far, Aveline is enjoying it tremendously. Of course, no writer’s toolkit is complete without a good handle on the structure of language. Last year, following the Veritas Press catalog recommendations, we completed the first level of Shurley English. This is such a tremendously effective method; I highly recommend it! It’s also a very repetitive program, so we’re jumping right to Shurley English, Level 3 this year. As I do in many repetitive subjects, I’ll be condensing the lessons to allow Aveline to move forward to the next concept as soon as she masters it, rather than making her go through all the exercises. I’ll also be skipping the writing instruction, since we’re using IEW for that. Even with all those modifications, I still highly recommend the program (and if your child thrives on repetition, not as much modification will be needed, anyway). With the rapid mastery and with telescoping the curriculum, we’ll probably finish quite a bit before the school year ends. I have First Language Lessons for the Well-Trained Mind, Level 3 (plus student book) waiting in the wings, so we can move right into that, and get started with diagramming. ME: Tell Papa what subject you started today, Aveline. ME: And why did you start learning that? We used Handwriting Without Tears last year to teach cursive, after years (yes, years) of Aveline asking to “learn how to write with loops”. A font nerd after my own heart, she’s now also asked to learn some different methods of cursive. So, yes, in case you’re wondering, Classically Cursive and Handwriting without Tears do use two different forms of lettering. Why Logos School’s Classically Cursive and not another method? I love how the series (there are four books) incorporates the Westminster Shorter Catechism! In addition to the First 100 Chinese Characters writing practice book, Aveline will also be doing Chinese character practice in her Chinese school weekend classes (they use the MeiZhou Chinese curriculum. ) The bulk of her instruction will come from Chinese school — this is her fourth year there — but we also supplement with Chinese kids’ songs, kids’ TV shows translated into Chinese, character flashcards, and, soon, beginning readers in Chinese, too. Read more about how we teach Chinese at home, or follow my Mandarin for Kids Pinterest board. Since last year’s Chinese class focused so much on Chinese phonics (using pinyin, which is a method of transliterating Chinese sounds using our Roman alphabet), I took a very hands-off approach to English spelling at home. One of Aveline’s big requests this year was to learn how to spell “really big words by heart”. I knew a repetitive beginning spelling program wasn’t going to cut it. After meeting Claire Jane Beck at the FPEA Special Learners Conference last fall, I picked up her Vocabulary Explosion: Greek / Latin Etymologies for grade two. It’s a very straightforward approach — one prefix or suffix and five related words are introduced each week, and the student learns to use the words in context. The spelling learning really happens behind the scenes. It’s a huge, huge hit around here; and, along with cursive, Chinese characters, and Bible, is part of our daily seatwork routine. This is one of our very favorite subjects. Choosing math curriculum was a no-brainer (read more about why Singapore Math works best for us). This year, we have levels 3A and 3B on the docket, although I have the sneaking suspicion we will need to break out 4A before next summer arrives. With DragonBox Algebra 5+ behind us, Aveline alternates between Dragonbox Algebra 12+ and Dragonbox Elements (geometry) for math enrichment. And we picked up the Multiplication and Division editions of Classical Math to Classical Music at the Veritas Press booth at the FPEA Convention this year, too. And, oh yes, how could I forget? Dozens upon dozens of living books about math. We’re working — rapidly! — through Sonlight’s Science C, and continuing through the Apologia Chemistry/Physics book we started last year. Since Science C is going by so quickly for us, and since we’re already half-done with the Apologia, I might end up pulling down the AIG (Answers in Genesis) Human Body set and using that for the second semester. Chemistry and anatomy are two of Aveline’s big obsessions, so I do as much as I can to nurture her interest in those areas. For “fun”, she’ll often request to listen to the human body songs from Lyrical Life Science, or pull out the anatomy coloring book. The beloved Elements book is a favorite free-read, and our shelves and library bags are overflowing with nonfiction math and science books. Last year, Aveline read Apologia’s Exploring Creation with Astronomy in her free time, and since we live about 50 miles (as the crow flies) from Space Coast, we keep tabs on NASA, too. If there’s a launch, we’ll watch the first few seconds on the NASA or SpaceX livestream, and then run outside to see it in the sky. We rotate through science resources pretty often, so I might come back and update this section a little further into the school year. Church History ABCs: Augustine and 25 Other Heroes of the Faith. I find it a little challenging to find a really solid Bible course. One resource I absolutely love, though, is Songs for Saplings — scripture and doctrinal truths set to song. They’re loosely based on the Westminster Shorter Catechism, and are free to stream or download from a number of sources. I also really love The Children’s Illustrated Bible, which I discovered through Veritas Press. It has such excellent archaeological and historical sidebars which really put the Bible in context. So I made my own 180-Day Theology Reading / Listening Schedule for Kids, incorporating them both, but focusing on the New Testament. We also periodically break out the utterly fantastic church history books by Ned Bustard — Reformation ABCs: The People, Places and Things of the Reformation from A to Z and Church History ABCs: Augustine and 25 Other Heroes of the Faith. 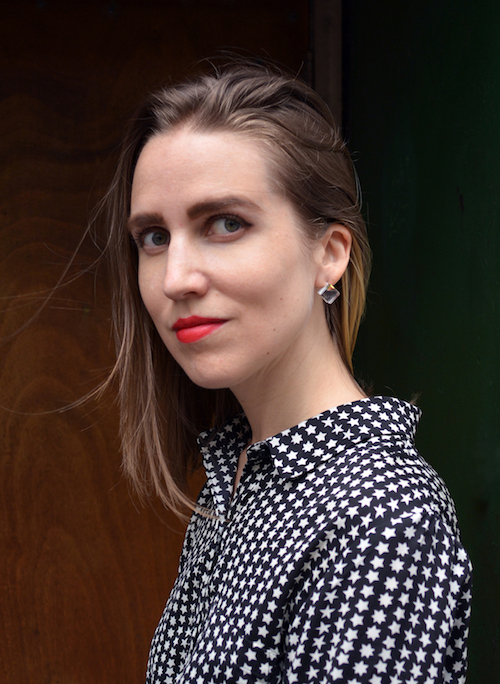 These are unlike anything I’ve ever seen, and break down oft-esoteric topics and biographies into bite-size, kid-friendly chunks. One thing I absolutely adore about classical education is the idea that kids can handle starting to delve into really topics at a very young age. Augustine doesn’t have to wait until high school. Church history doesn’t have to wait until they’re old enough to understand all the complexities. It doesn’t have to be a sudden introduction to the ancients once high school hits. Rather, we can just incorporate these big topics in an age-appropriate way from the beginning, and expand the breadth and width of our study as time goes on. As a part of Sonlight’s Core / Level C, we’re continuing with A Child’s History of the World, which we began last year (Sonlight uses this book in both Level B and Level C). We also really enjoy some of the lessons and enrichment activities in Calvert’s accompanying fourth grade student workbook for Child’s History of the World, which Sonlight does not use. Because we also love big cut-and-paste paper messes projects around here, we’ve also started incorporating a freestyle hybrid of lapbooking / notebooking, too. I print out a related image or two from the Home School in the Woods Timeline Figure CD set, and Aveline goes to to town with 3-hole punched colored cardstock, a stack of mini-book elements, glue stick, markers, scissors, pen and pencil. She’ll write down any thing she thinks is important from the chapter, and glue everything together with aplomb…and glitter. We were also planning to complete weekly Egypt-themed projects with another homeschooling family using Veritas Press’ Old Testament and Ancient Egypt as our spine, but that’s on hold right now. Mapping, mapping, mapping! Did I mention mapping? Sonlight’s mapping method seems too simple to work: anytime you encounter a new location anywhere in your reading, you mark it on a map. That’s it! I am astonished at how much Aveline can recall about geography simply because we learn geographic locations in context. She’ll also beg you to play Scrambled States at any given moment. We’re using another Sonlight-recommended resource, too — Window on the World, a full-color encyclopedia of countries and cultures. As we read through by region, we also listen to Geography Songs. Those will stick with you for years! I can still sing the States and Capitals version we had on cassette as kids. We were planning do to hands-on United States geography projects with another homeschooling family, but that’s on hold at the moment. I’m teaching Art History at our local homeschool co-op again this year, so our art lessons will be done in that setting. Last year I taught first grade, and this year I’m working in a multi-age setting of second- through fourth-graders, which I think will be really exciting. In this class, we’ll work our way through a number of famous artists and art genres, read children’s literature highlighting an artist’s life or a specific art technique, and create a hands-on art project relating to the week’s historical topic.I like to pull art from the public domain (see links above), print it full-color and have it laminated. This way, we can get up close and personal with the art without worrying about spilling on a book or smudging the print! Feel free to follow my Elementary Art / Homeschool Co-op Pinterest board for more ideas, too. Did you notice how many of our subjects above include songs? I integrate memory work into what we’re already doing! We have math songs, science songs, grammar songs, geography songs, theology songs, songs in Chinese..and a whole lotta Johnny Cash. Which brings us to the last topic…music! After completing the 2-year Yamaha Junior Music Course at the music conservatory downtown, Aveline’s between piano teachers right now. She’s been working on pieces on her own as we look into other options. That’s a lot, right? So before I wrap up this tour, I just want to stop and point out a couple of ways in which our situation isn’t the norm. Third, I want to reiterate once again — this is what our journey looks like. This is not what everyone’s journey needs to look like. The beauty of homeschooling is being able to design an individualized education plan to very personally meet the unique needs of a specific child, within the dynamics of that particular family. Fifth, there’s another unique twist to our situation: we don’t live near family. My family is two thousand miles north; my husband’s family is three thousand miles west. This means our Sunday afternoons aren’t filled with cousins’ birthday parties, and our weeknights are not spent at family dinners. Again, is not our first choice, but this is the life we’ve been given for such a time as this (Esther 4:14). Rather than lamenting where God has placed us, we’ve chosen to “redeem the time” (Ephesians 5:16) and “number our days” (Psalm 90:12), and celebrate the miracle child God’s graciously granted us to steward. This post is part of the 9th Annual Back-to-Homeschool Blog Hop: Curriculum Week link-up, hosted by the wonderful iHomeschool Network. Click through to read more curriculum choices from other homeschool families! Are you a blogger? Link up your own 2017-2018 curriculum post! Disclosure of Material Connection: Some links above are “affiliate links” provided in conjunction with my participation in Home School in the Woods’ affiliate program. This means if you click on the link and purchase the item, I will receive an affiliate commission. Please be assured, I only recommend products or services I use personally, and I will always disclose any such links.